Embossed mini metal road sign, suitable for indoor and outdoor use. The traditional "fingerpost" style of Irish directional signage can still be found in many areas of rural Ireland. These signs differ from their modern day equivalent as they have black raised text on a white background. 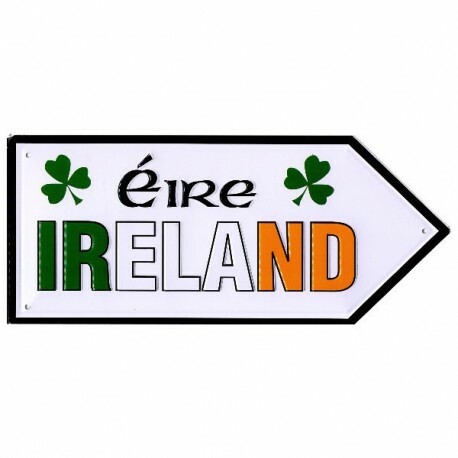 Names of destinations are written in captial letters and the Irish name was depicted in slightly smaller text. On some of the early signs a harp was shown and distances on these signs are shown in miles. 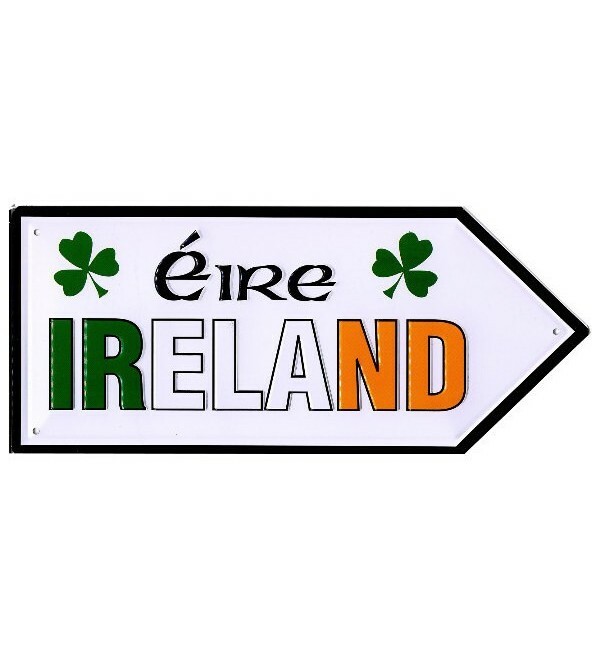 This style of signage has become a common feature of many tourist images of Ireland, however, they are not totally reliable as they can be easily rotated leading many a weary traveller in completely the opposite direction.